I know when your family asks, “What’s for dinner tonight?” they probably don’t jump up and down with utter excitement. I think the simple meatloaf has earned the bad reputation of being boring and being that dish that cooks make when you really don’t have a better choice. I know that’s harsh but it doesn’t have to be that way! 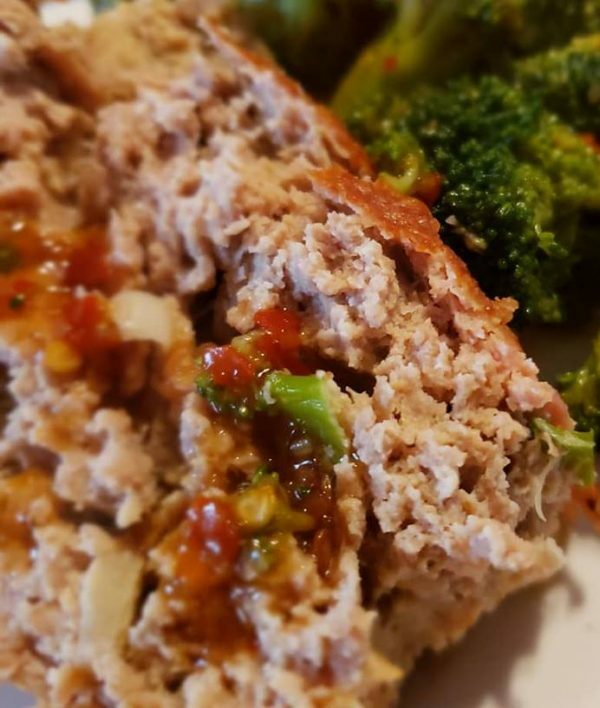 This meatloaf is super easy but big on taste. It has a hint of Asian influence with the essence of ginger and soy. Easy to put together and from prep to table in less that an hour. Pair it with the bright green broccoli smothered in a soy and ginger sauce. A delicious paring perfect for any night of the week. I guarantee meatloaf will no longer be cringe worthy but be a dinner celebration! Your family’s new favourite meal! Press meat into a greased loaf pan. Bake for 45 minutes the slice an serve hot.